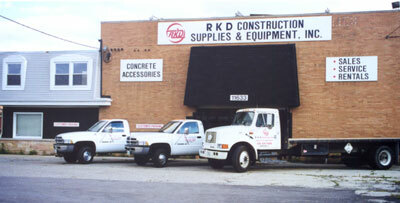 RKD Construction Supplies & Equipment, Inc. has been committed to supplying construction products and equipment since 1976. RKD has been fortunate to represent many of the leading manufacturers in the construction industry. We have listed on our web site some of the manufacturers and the products we handle. We are successful suppliers because of our loyal customers, quality products, and our dedicated employees. At RKD, service is a fact not a promise!